I slept in kinda late this morning. It’s the third day in a row of gray skies and rain. Everyone is feeling a bit blah. Greg and I headed down to the Driftwood for breakfast. 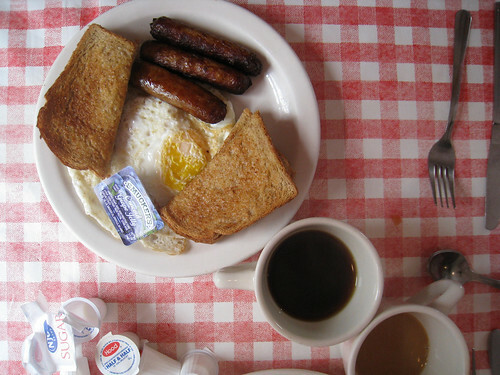 The Driftwood is an old school New England greasy spoon. 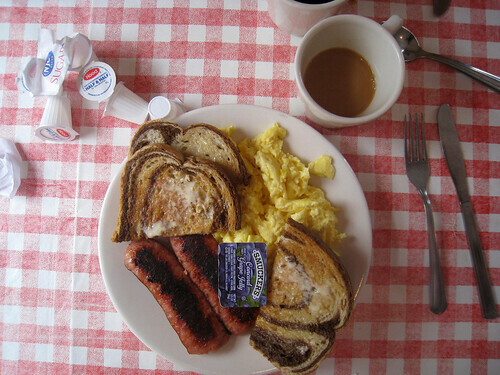 Just steps from the harbor this breakfast joint serves classics like blueberry pancakes, eggs & kielbasa, and on weekends Fried Dough. I had the kielbasa. Mighty delicious. I’m so glad I moved back to New England. but please, don't call this kielbasa :) you would have to eat a real kielbasa in Poland to know that this "thing" is just a sausage. 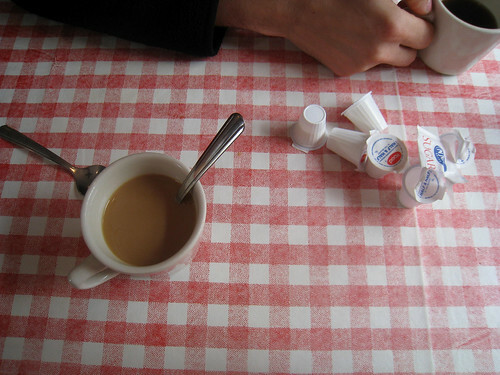 i love breakfast restaurants! eating at one really is the perfect way to start a morning. 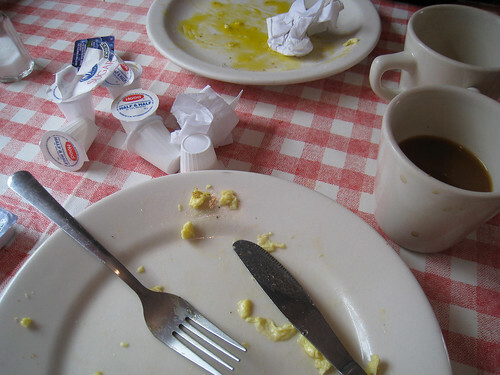 I have had many a breakfast there! Very yummy! and followed it up with a few trips to the local antique stores. Oh how I love Marblehead! LOVE the photo series. yum! Yum!! I love those photos!! What a beautiful way to start your day. This is what breakfast should be: simple, honest food,sea air and someone special to enjoy it with.